This post is part of a series that will detail each plant I’m growing with pictures from seedling to vegetable! Think of it as my online notebook of each variety. I decided to post these because I know during the cold snowy winter when I researched “what to grow” I loved looking at pictures of how things grew and what their quirks were. 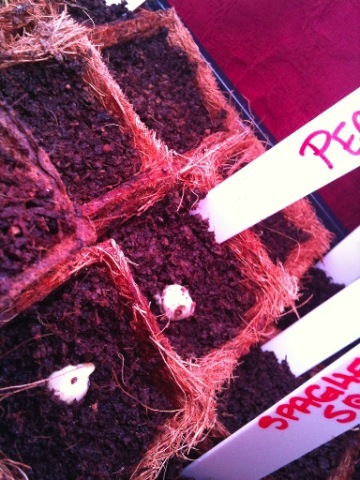 This post will be continually updated with pictures and information as I learn, and as the plants grow! 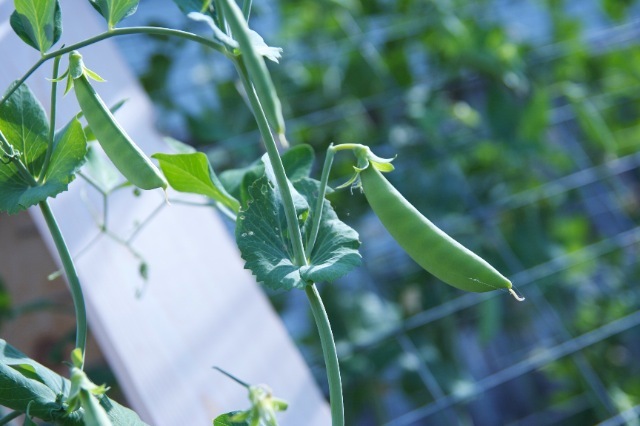 Description (from Baker Creek site): This is the wonderfully sweet, edible-pod pea so popular with consumers and gardeners. 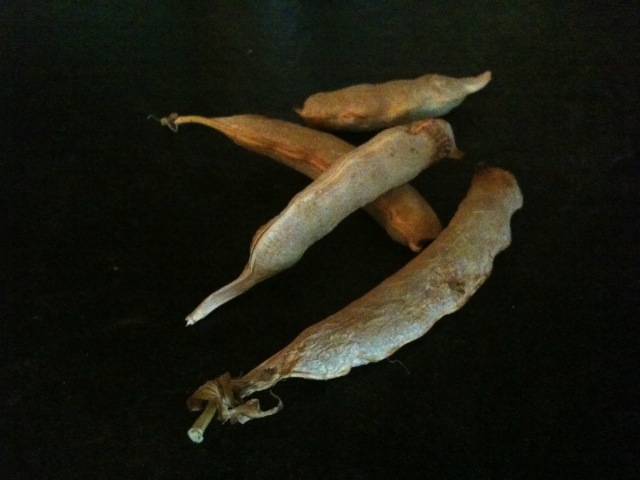 The delicious, tender pods are great raw (eaten before you ever leave the garden), stir-fried, or in salads. They also freeze very well. An AAS winner from 1979. 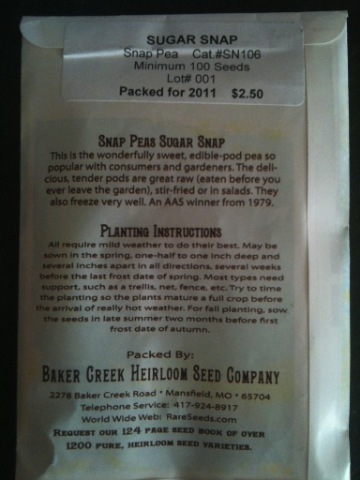 These seeds came from Baker Creek, where I bought the bulk of my seeds this year. Since this was my first year buying more than a packet of lettuce, I spent some time looking at different seed companies and deciding what company I wanted to support. 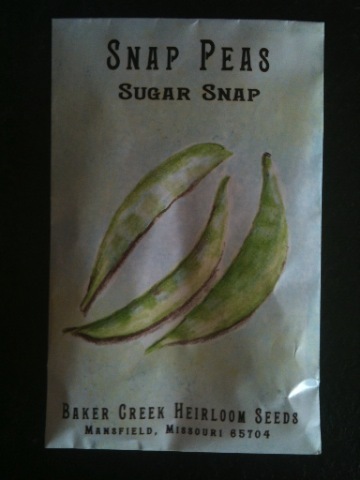 I knew I wanted heirloom or open pollinated varieties so that I could (at least attempt to) save seeds for next year. There are quite a few good companies out there, but I was most impressed with Baker Creek. They only offer non-GMO seeds and that was important to me. Almost every single comment I came across was positive, about both their seeds and their customer support, and they did not disappoint. My seed order shipped quickly, even during their busiest time for orders (the end of January). I started a few peas inside under the shop light to try it out. 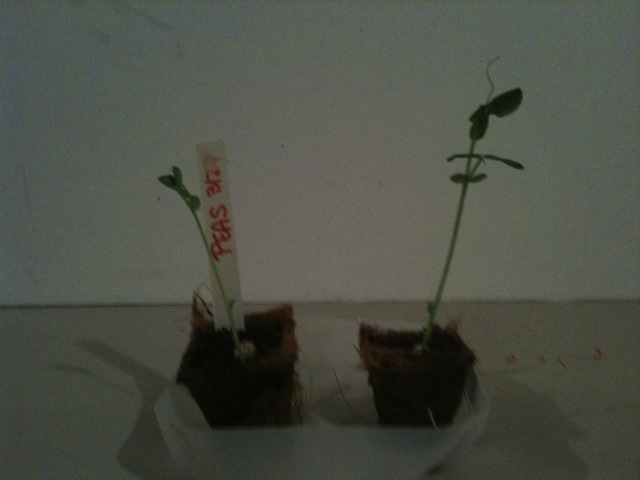 They grew very quickly inside, taking off and quickly reaching the light. 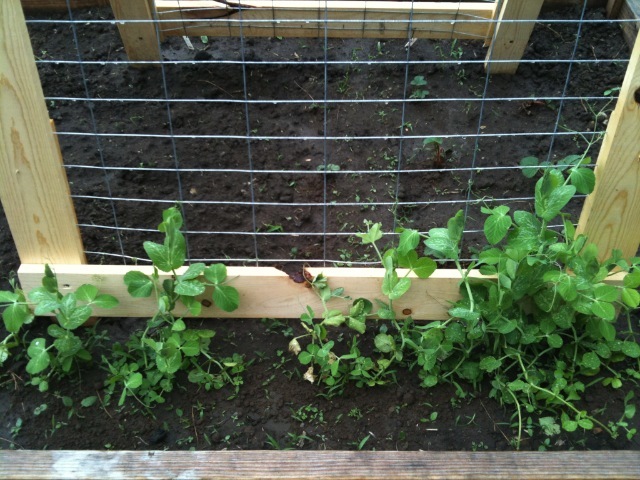 I transplanted the two that I started inside out to the garden next to the row that I started outside (around 4/1 I think). In the future I won’t bother starting them inside, since they all ended up growing the same. The only reason I could see starting them inside would be if your weather wasn’t conductive (maybe too wet?). I did soak the seeds in water for a few hours before I planted them I believe. They took off quickly, and I remember worrying about them taking to the trellis. Ha! 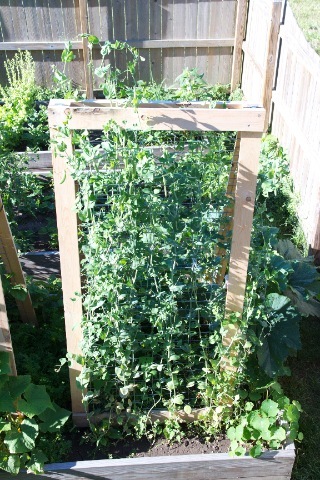 They definitely don’t grow up the trellis tightly like green beans do, rather they send off side shoots that attach to the trellis while the main stalk just grows upwards. 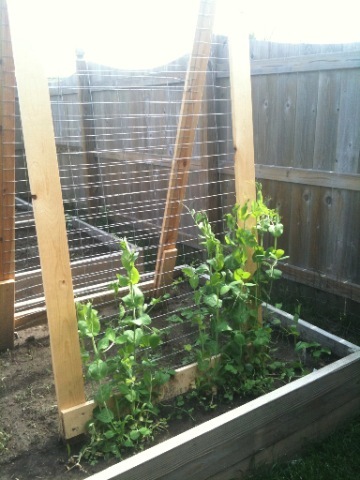 They may have grown differently if I had a trellis setup with twine going from the top to the bottom, instead of the grid-like chicken wire. I did at some point loosely tie a few of the stalks (vines?) higher up on the trellis with strips of t-shirt because they were really blowing in the wind a lot and I was worried they would come down. 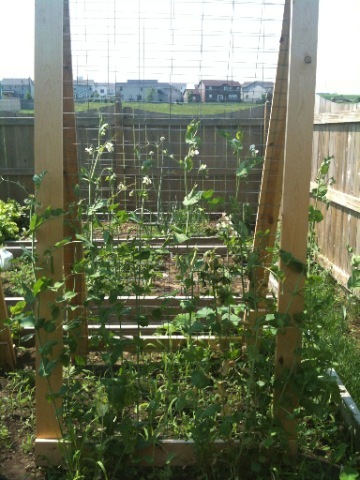 Not to worry, they quickly bested my 6 foot trellis. 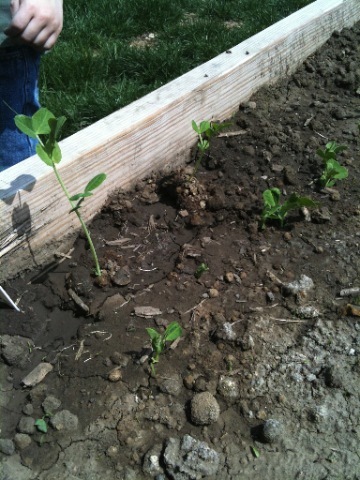 We spent a good amount of time picking the peas off and snacking on them while we were playing outside. I would venture to say that 80% of the peas got eaten that way. Next year I will be planting more than 3 feet of these for sure! 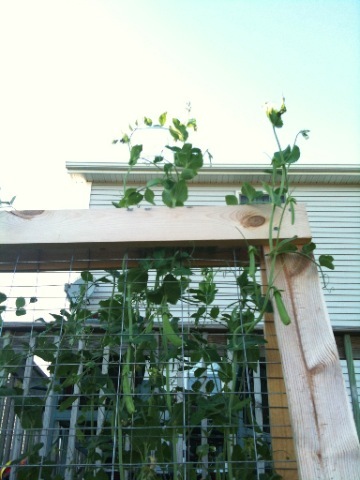 Right now the last of the peas are drying out on the trellis to save the seeds for this fall or next spring. My understanding is that you let them dry until the peas are loose in the pod. Here are a few that are dry enough already so I brought them in.